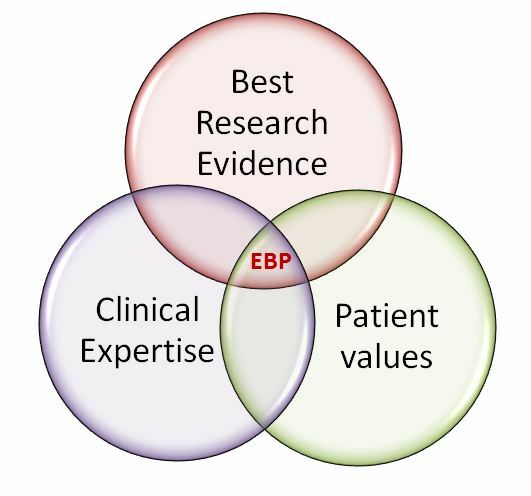 Evidence-based practice (EBP) is the process of systematically finding, appraising, and using contemporaneous research findings as the basis for clinical decisions. (Rosenberg, William and Anna Donald. Evidence based medicine: an approach to clinical problem-solving. BMJ 1995;310:1122-1126). If you need help deciphering terminology, use this glossary from the Centre for Evidence-Based Medicine in Toronto.